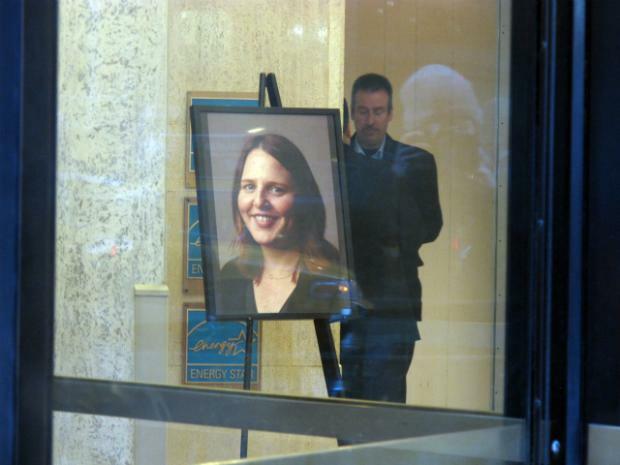 MANHATTAN — The company that replaced the troubled Transel Elevator Inc. at the Madison Avenue office building were Young & Rubicam exec Suzanne Hart was killed has been sued over a similar accident that left a man a paraplegic, DNAinfo has learned. PS Marcato — which took over elevator maintenance at 285 Madison Ave. after Hart's death — failed to properly repair, maintain and inspect a freight elevator that plunged with its doors open onto another worker at 711 Amsterdam Ave., according to a lawsuit filed in Manhattan Supreme Court. 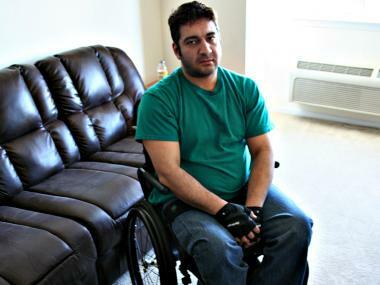 The worker, Abdullah Ileiwat, 32, suffered a broken spine and has been forced to use to a wheelchair since the elevator fell on him, after he went to remove a piece of wood that became lodged in the elevator shaft. "The doors were open and the power was cut off, and I was not expecting it to move,” he said, recalling the July 4, 2010, incident. “The next thing I know, I am on the floor, dazed, and my lower stomach felt like I was on fire." Hart, 41, a top exec at Young & Rubicam, died Dec. 14, 2011, when an open elevator door suddenly closed on her leg and took off, crushing her against a second floor landing. A city investigation found that Transel mechanics failed to remove a device that disengaged a safety mechanism, thus allowing the elevator to move even with doors open. Transel also failed to notify the city to obtain an independent inspection before putting the elevator back into service. Transel subsequently fired those employees, but was replaced by PS Marcato at the Madison Avenue building. A freight elevator at 711 Amsterdam Ave. maintained by PS Marcato failed primarily because of a faulty device known as a “Drum and Cable Switch,” according to the lawsuit. The switch is designed to reel in cable slack, preventing an elevator from moving. In March 2010, Gotham Elevator Inspections, which was hired by the building owner, GR Housing, to check the elevators, determined that the Drum and Cable Switch was in need of repair and the elevator was in “poor” condition, according to Ilwait’s lawyer, Rosemarie Arnold. PS Marcato, which handled the elevator maintenance, repaired the switch a short time after the inspection and performed additional repair work on the elevator as late as the last week of June 2010 — a week before the accident. “It was not properly repaired or inspected afterwards,” said Arnold. Stuart Schwartz, a lawyer for PS Marcato, insisted that the elevator equipment worked properly, including the drum switch. He said a large piece of wood had fallen beneath the elevator and that Ileiwait or his supervisor should have immediatley contacted PS Marcato, who are expert mechanics, to deal with the problem rather than taking action themselves. “The elevator was properly maintained,” Schwartz said. “Maintenance had nothing to do with why the accident happened. “The reason the accident happened was because of improper use of the elevator equipment by unauthorized personnel,” he added. At the time, Ileiwat, the son of a Newark deli-owner, was working part time as a porter at 711 Amsterdam. He recalled deciding to take out the garbage on the freight elevator, which runs from the basement to street. However, it was stuck half way between floors. He said he notified his supervisor. Together, they looked down the shaft and saw the obstruction. “He asked me to down there,” Ilewait said, and pull out the wood. The cabin, which was roughly five feet above the ground, suddenly fell on top of him. “The next thing I knew I was on the floor in a dazed state.” He was pinned and his body began to turn red-hot with pain. Arnold filed a lawsuit two months after the accident, and on November 17, 2010, a judge finally ordered the building owner, GR Housing, to allow her and her experts access to the elevator. They set January 30, 2011 for the inspection, but two days before it occurred Arnold received notification that the elevator has just been dismantled and replaced. Ilewait, meanwhile, endured months of surgery to reconstruct his spine. 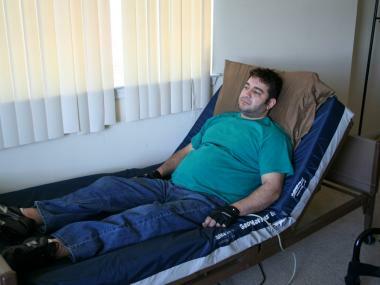 He then spent nearly a year in rehabilitation just to trying to learn how to use his shoulders and arms to shift his body to and from bed and his wheelchair. His doctors say there is nothing more they can do for him. He is planning to return to school to get a college degree. Representatives for GR Housing declined to comment, citing the pending litigation.